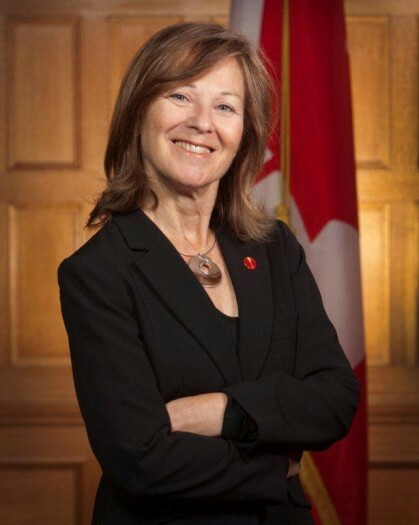 The Honourable Judith Seidman is an epidemiologist, health researcher, and social services advisor who was appointed to the Senate of Canada on August 27th, 2009. She holds a Bachelor of Arts degree in English Literature, a Bachelor of Social Work degree in Health, and a Master of Social Work degree in Health from McGill University. She was the recipient of the J.W. McConnell Memorial Graduate Fellowship from the Faculty of Graduate Studies and Research (McGill). As a PhD candidate in the Department of Epidemiology and Biostatistics at McGill University, she received a doctoral fellowship from the National Health Research and Development Program. Prior to her appointment to the Senate, she was an active health research professional in the McGill University Health Centre network in Montreal, Quebec. As a research fellow at the Montreal Neurological Institute and Hospital, and as an Associate Professor of Social Work at the McGill School of Social Work, Judith’s research and teaching focused on program and services evaluation, and the psychosocial determinants of health and illness. As a National Health Research Doctoral Fellow in Epidemiology and Biostatistics, she studied the role that social supports play in chronic disease outcomes. She was also actively engaged in aging-related research as a member of a community health team and as the Project Coordinator for the Canadian Study of Health and Aging. Born in Montreal, Senator Seidman has demonstrated a lifelong commitment to public service. Her community involvement has focused on the education and health sectors, and she has served on many committees and boards including the Allan Memorial Institute Advancement Fund, McGill Society of Montreal, Education Task Force of the McGill Centre for Studies in Aging, Alumni Committee of the McGill School of Social Work, Working Group on Continuing Studies in Social Work, and the Evaluation Committee for Community Health Research Program of Montreal. Following her appointment to the Senate, Judith has been an active member of many committees, including the Standing Senate Committee on Social Affairs, Science and Technology (Deputy Chair), the Standing Committee on Energy, the Environment and Natural Resources, the Senate Committee on Human Rights, the Senate Committee on Official Languages, and the Senate Committee on Rules, Procedures and the Rights of Parliament. In 2015, she served on the Special Joint Committee on Physician-Assisted Dying, which informed the development of Canada’s legislative framework governing medical assistance in dying.